What a strange, many-headed beast MoviePass seems to be. In addition to being a tech company, a payment service, a data network, and moviegoers’ sugar daddy, it’s now looking to own a piece of the movies that you go out to see. Ever since MoviePass announced its movie theater subscription service back in August, everyone has wondered how it’s possibly going to make money. For $9.99 a month, you can go see a movie every day if you want, and MoviePass pays the theater full price. Mitch Lowe, the company’s CEO, told us at the time that the plan is to get a lot of people to use the service, demonstrate its value to theaters, and work out a deal for MoviePass to share in the profits from increased attendance. The first part of the plan has been working. Earlier this month the company said it had signed up 1.5 million subscribers over four months. On Friday, we received the first word on how the sharing in profit portion of the plan might go. The figures show how MoviePass is thinking of itself as a marketing service. Lowe told us in August he imagined that MoviePass would promote certain films over others based on partnerships. He said the company’s data shows that its customers tend to be more adventurous moviegoers who will take a risk on films that don’t get a lot of hype because it’s not like doing so costs them any extra money. The goal isn’t to get butts in the seat for Star Wars, it’s more about bumping attendance at the two showings of The Florida Project. And theaters should be happy because that means more concession sales. And by the way MoviePass wants a piece of that popcorn money as well, just not yet. MoviePass’ unique approach to film acquisitions gives it a chance to continue making money from films it’s promoted after they leave theaters. “We aren’t here at Sundance to compete with distributors, but rather to put skin in the game alongside them and to bring great films to the big screen across the country for our subscribers,” a representative said. Saying MoviePass isn’t competing with distributors just because it’s not looking to acquire 100 percent of the rights to a film is a bit of a stretch, but the current approach does seem to indicate that it wants to demonstrate its ability to tilt the box office in a film’s favor. MoviePass also picked a good year to be a tech company running around Sundance. Amazon Studios has been keen to buy the hot indies at the festival in recent years, but the giant is reportedly growing more interested in launching blockbusters of its own. It wouldn’t be surprising to see MoviePass step in where Amazon previously would have in years past, or to even see the two team up to purchase a film. If this model ends up working, it’s easy to imagine a time when MoviePass might only offer its service for movies that it’s distributing, much in the way that Netflix is primarily focused on filling its library with original content. This is an aggressive move by the company. MoviePass hasn’t been popular with big theater chain executives because they fear that it’ll fail after devaluing the theater experience in customers’ minds. But theaters have to take MoviePass because it’s just a custom designed MasterCard that works with an app. 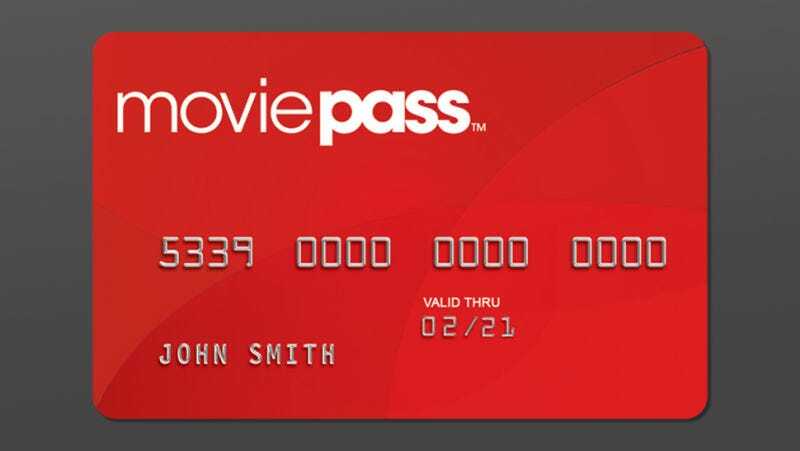 Theaters could stop taking MasterCard, but MoviePass would just go to Visa, and so on. The question now is whether megaplex chains will refuse to show films that MoviePass has a stake in as a way to stick it to the company. MoviePass is a quintessential startup. It’s complex, data-driven, disruptive, and full of risk. One financial analyst writing for Seeking Alpha recently outlined what they see as a path for MoviePass to be a $10 billion company if it hits 20 million subscribers. The 20 million number comes from a Credit Suisse analysis that lowered price targets for theater chains. With 20 million subscribers, Credit Suisse believes MoviePass would have sufficient leverage to ask for 10 to 20 percent of the box office and concessions. In MoviePass’s rosy view of the situation, theaters would sell enough Goobers to warrant giving out the cut. Time will tell if theaters want to test that theory.